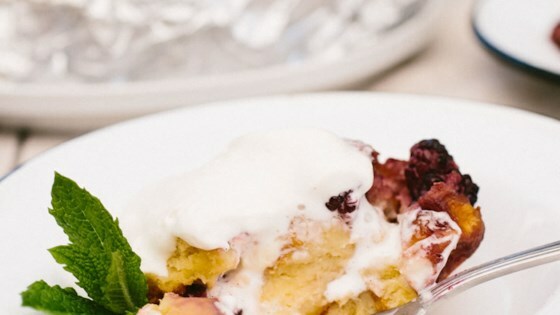 "Don't heat up the house when you want to bake a blackberry brioche bread pudding in the summertime - make a package and pop it on the grill. Scoop into bowls and top with whipped cream or ice cream to serve!" Blueberry bread pudding was terrific...... no changes necessary. Yummy!!! I modified and baked in the oven. Delicious! Excellent recipe, curious as to whether or not it can be cooked in the oven and if so would that also be about 15 min at 350 degrees? ?